Go online for a hassle-free cannabis dispensary business with a custom uber-like on-demand cannabis ordering and delivery app. 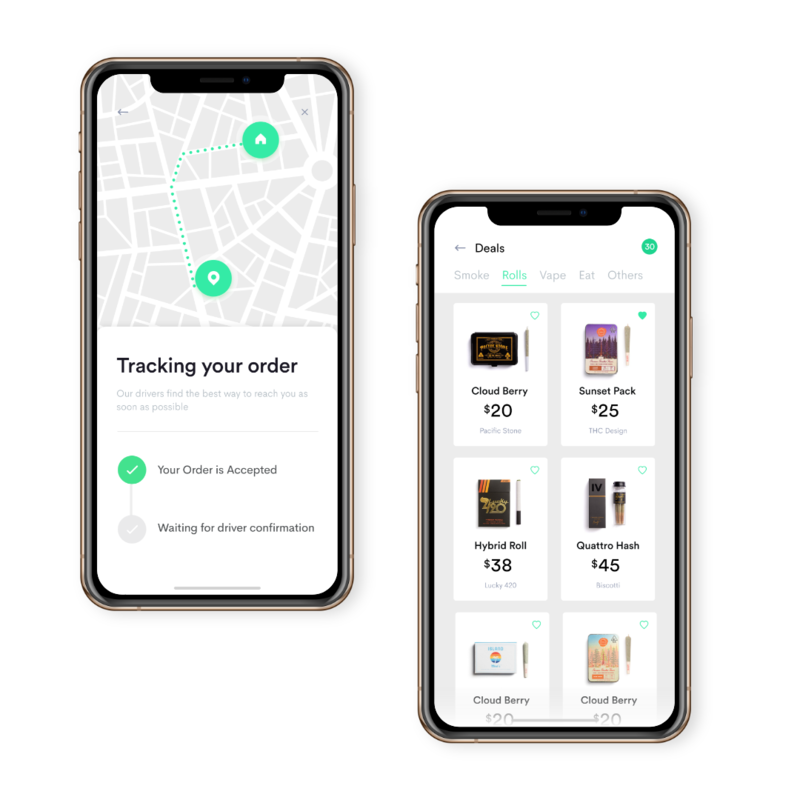 From kick-starting to establishing the biggest online cannabis delivery business through our integrated app solution. 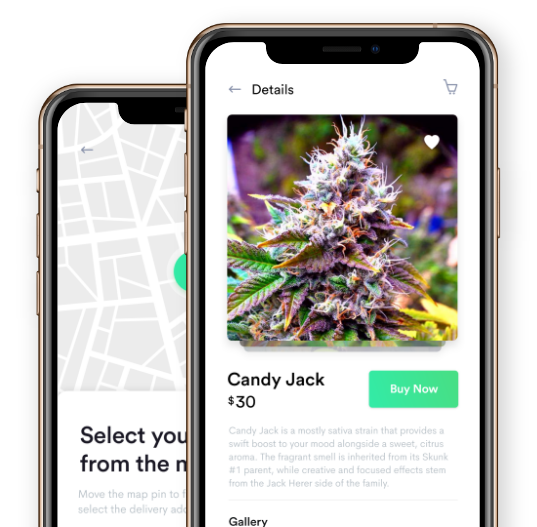 It allows the cannabis vendor aggregators to grow their business with the help of a integrated web application solution. Admin can keep a track of business, manage sales etc all in a single place. 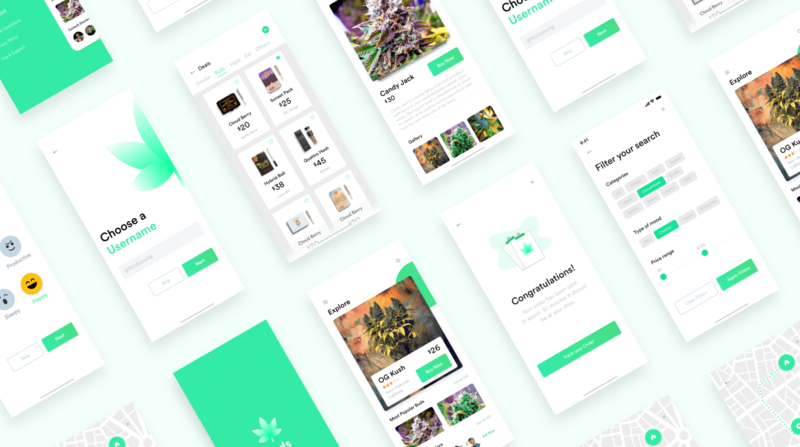 An interactive app for the weed store owners with unique design and logo. Allow them to manage their cannabis business without any hassle. A smart dashboard, that allows you to keep a track of all the stores simultaneously and provide a seamless experience to your customers. 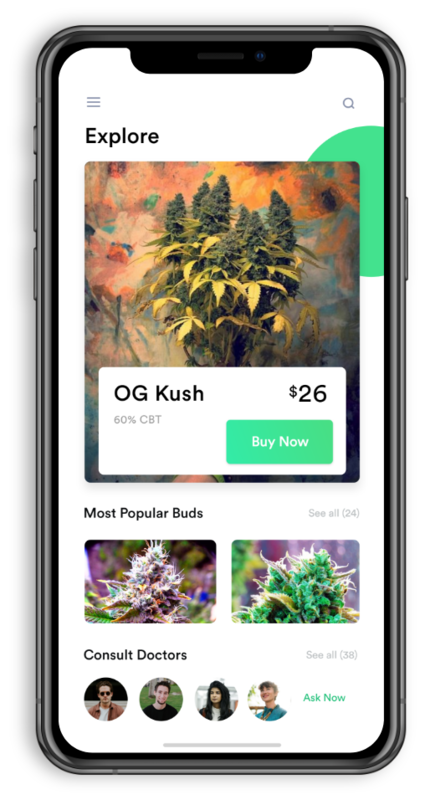 Manage your weed order from anywhere either it’s sales or purchase. Minute to minute live tracking of order and driver route. Accumulate data over a specific period to understand the customer and market trends that help your enterprise to grow. Stylish menu to display your products or multiple menus for different cannabis products. 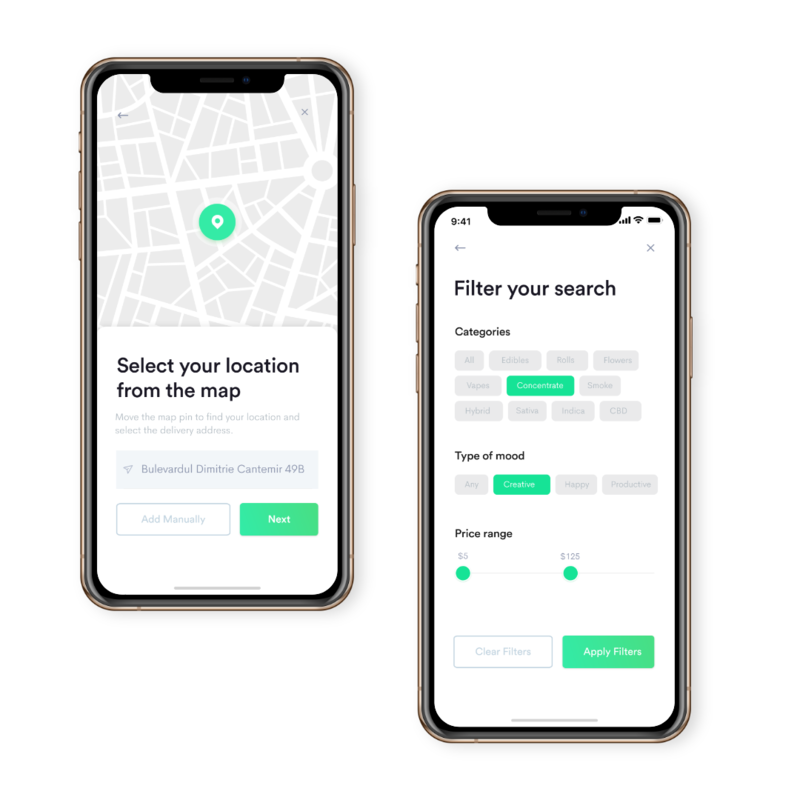 Users can easily locate nearby dispensaries from their current location and check the available cannabis products. Real-time notification to customers for multiple actions like order confirmation, estimated date/time and total cost. 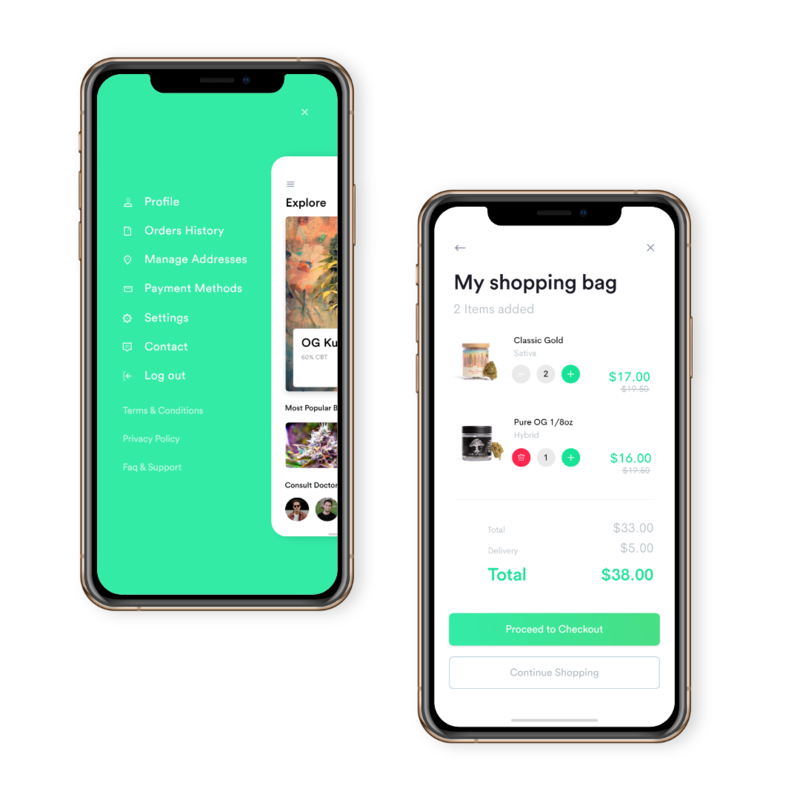 A complete uber like on demand cannabis delivery app. Age and Doctor prescription verification through uploading document. Placing order at an ease from anywhere, anytime and pay through multiple payment options. Tracking how long it will take order to reach customer. Chat & Complaint support for any query or registering compaints againt the order or delivery. With auto dispatch you dont have to worry about anything. Near by driver will be selected automatically. You can track in real time about the route driver is heading. App gives you freedom to add menu or change it at ease. You can also create Promo or discount coupons for Festival seasons. Order automaticaly assinged to driver or delivery agent. Complete order details e.g. Name, Address, Phone and Quantity. Complete guided route to the address and delivery proof after completing the order.